← The Amelia Bloomer List! I started writing A Girl Called Problem as part of a graduate creative writing class taught by Kathryn Reiss at Mills College. In addition to being a very prolific and talented author of teen mysteries, Kathryn has taught young-adult craft classes and workshops for years and is quite the expert! In fact, last year she was quoted in The Atlantic for a story on young-adult fiction. By the time I had completed Kathryn’s young-adult workshop, I had an outline for A Girl Called Problem and about four chapters of the book written–this was the jump-start I needed. I was joined that year by graduate students Nina LaCour and Carly Anne West, both of whom have gone on to publish wonderful books for teens. It’s exciting and an honor to see A Girl Called Problem come full circle. 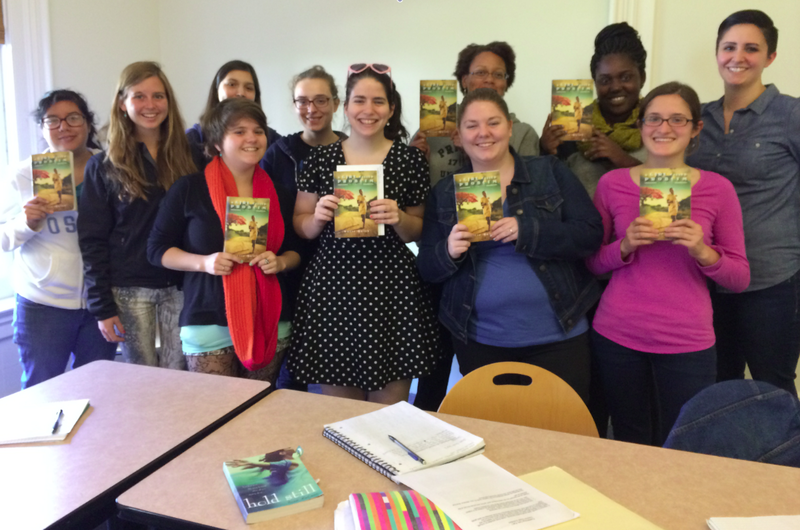 Thank you to Kathryn and to the students at Mills who took the time to study my novel! This entry was posted in A Girl Called Problem and tagged A Girl Called Problem, Carly Anne West, Creative Writing, Kathryn Reiss, MFA, Mills College, Nina LaCour, The Atlantic, Young-adult fiction. Bookmark the permalink.